San Diego County recognizes SANDCASP and honors SPAW! Join us for SPAW Happy Hour! 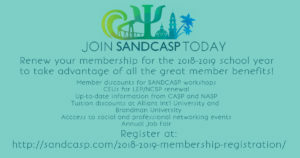 SANDCASP is teaming up with Adopt-A-Classroom San Diego!